Serving the Olympia, Lacey, Tumwater, Tacoma and South Sound Communities, Hosting Weddings, Banquets, Parties, Reunions, Special Events, Seminars, Training Programs, Awards Dinners, Conferences, Quinceañeras, and more. At South Sound Manor, it’s all about the experience. With our exceptional level of service, attention to detail, and desire to make your event flow seamlessly, we have become the venue of choice for the South Sound area. Our facility has the space and the audio-visual technology to accommodate nearly any event. At South Sound Manor, we pride ourselves on the superior quality of our events and always put the needs of our customers first. Our reputation has been built on being the very best event center in the South Sound Area. We assist you with every aspect of creating a personalized and unique event. If you aren’t getting the highest level of service to meet your needs, we haven’t done our job. South Sound Manor is centrally located, just one mile south of the capital, making it a convenient location for anyone looking to host an event in the Olympia, Lacey, Tumwater, Thurston County, or South Sound area. Our beautiful venue can accommodate groups of up to 150 and we have ample parking for your guests. Our beautiful rooms can be configured and decorated to perfectly reflect your vision. We have an elegant foyer with natural lighting to welcome your guests. Our Logan Room has the option of a floor to ceiling ShareLife® video projection wall to display still or moving background images that reflect your theme. The McElroy Room is spacious and elegant with cherry wood flooring that accentuates the style of any event and is perfect for entertaining, dancing, and dining. Our state-of-the art kitchen is a caterer’s dream with everything needed for preparation and service. We also offer a bridal suite and groomsmen’s room for our wedding parties. Your guests will also enjoy the added bonus of our fully ADA accessible facilities with automatic doors throughout the building. 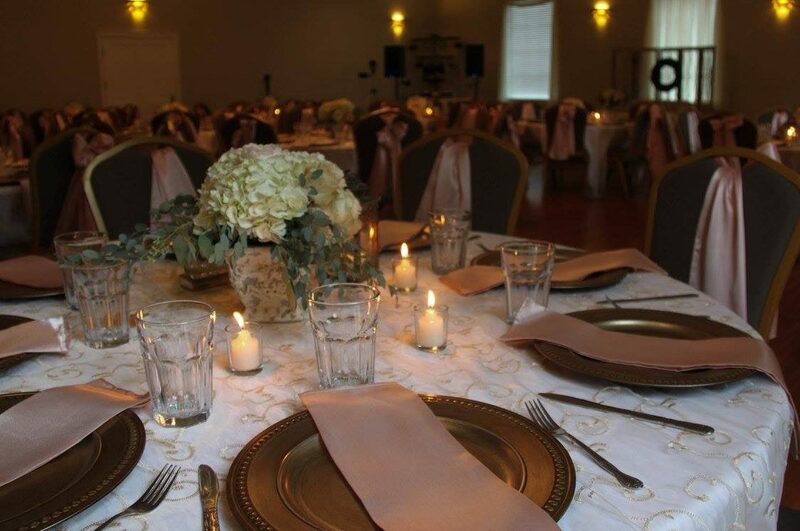 Call us today to learn more about South Sound Manor Event Center. Your message should contain the date of event, type of event & duration of event.